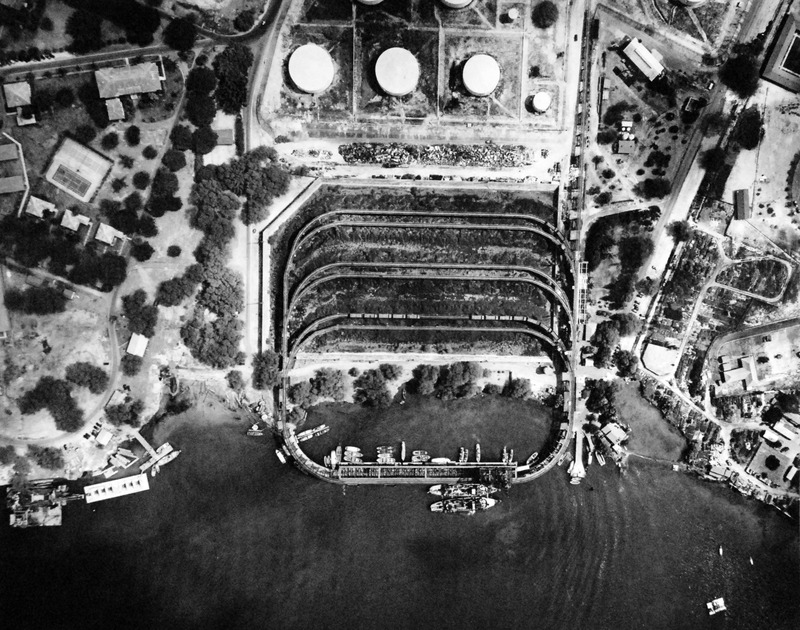 » Aerial view of the coaling facilities in the entrance channel of Pearl Harbor, Hawaii, 16 Oct 1941. The coaling station was the US Navy’s first use of Pearl Harbor beginning in 1903. This photograph has been scaled down; full resolution photograph is available here (2,884 by 2,272 pixels).